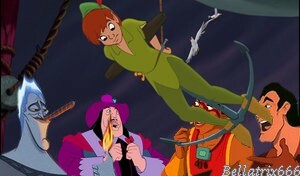 Peter Pan kidnapped. Poor Peter has been kidnapped oleh Hades, Governor Ratcliffe, Tzekel-Kan, Gaston, and maybe lebih villains that we can't see on this picture. anda can imagine what anda want for the reason of this kidnapping.... Wallpaper and background images in the disney crossover club tagged: photo peter pan hades governor ratcliffe tzekel-kan gaston hercules pocahontas eldorado beauty and the beast kidnappe kidnappig kidnapped disney.